The next generation Porsche 911, internally known as project 991, isn’t set to be officially shown until September at the Frankfurt Auto Show this year. Spy shots have been posted on such sites as autospies.com and WordCarFans. 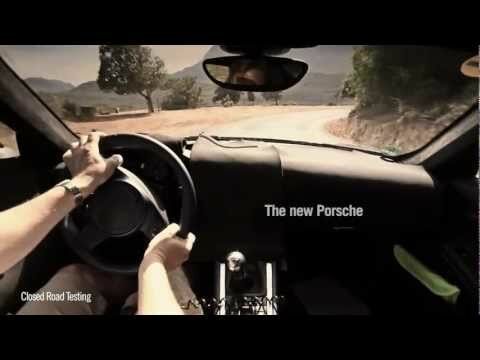 Now a video from Porsche has been released on their YouTube channel. Clear differences between the new model and the current 997 are the more upright headlights, a slightly longer body, and the side mirrors are now positioned at the side of the doors and not at the window. Other new features for the new 911 will include extensive use of lightweight carbon materials and active aerodynamics–surfaces that react to what the car is doing, and how fast it’s doing it. Expect adjustable front and rear spoilers, dynamically opening and closing air intakes and an automatic rear wing. As for powertrains, reports coming out of Germany claim power in the base Carrera will stand at 350 horsepower from a 3.4-liter boxer engine and 280 lb-ft of torque. Step up to the Carrera S, however, and you’re expected to get a bigger 3.8-liter engine and 400 horsepower and 325 lb-ft of torque. New drivetrain technology includes a special electronically controlled limited-slip differential in cars equipped with the seven-speed PDK dual-clutch transmission.